Can it just be spring already? I’m so ready to wear pastels and have tulips and have daylight when I get home. Nothing’s quite as fresh as a spring-ready perfume… I love the Jo Malone perfume in peony and blush suede because it has lovely floral notes but the ‘suede’ gives it a little edge that makes it not too sickly or girly. It’s just a really pretty scent, and one that makes me happy when I smell it. One of my most-used Nars duos is Portobello, two matte neutrals. Although it looks a little boring in the pan it has this magical quality when applied on the eyes – it manages to give depth and make my eyes look bluer without ever looking like too much makeup. I like using it in combination with the Charlotte Tilbury cream eyeshadow in Jean for a really quick and easy pretty spring look. For really glowing skin – I want this all year round but especially in spring – I love the BECCA backlight primer because my skin needs a wash of champagne shimmer to make it look better. 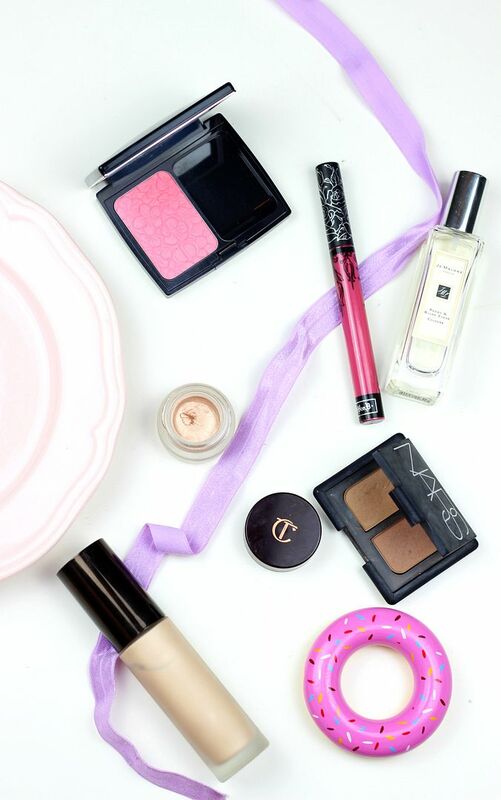 This stuff is seriously nice, and then throw into the mix the Dior glowing gardens blush, and yeah… Spring has sprung! If you liked this post you might like this post on looking sheeny not shiny or this post on feeling fresh.